Miniature people waiting for the miniature train. 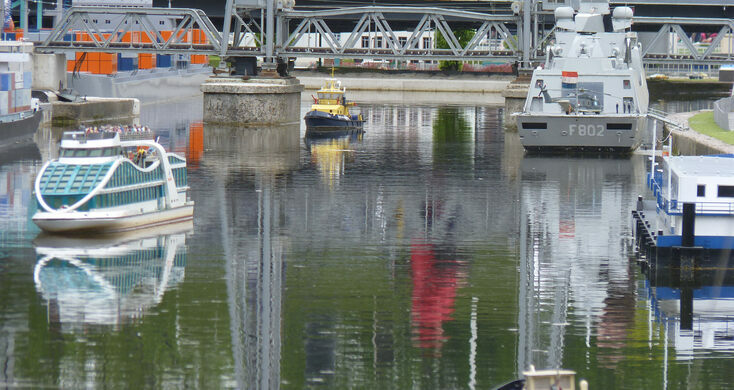 Madurodam is a miniature city located in Scheveningen, The Hague, in the Netherlands. 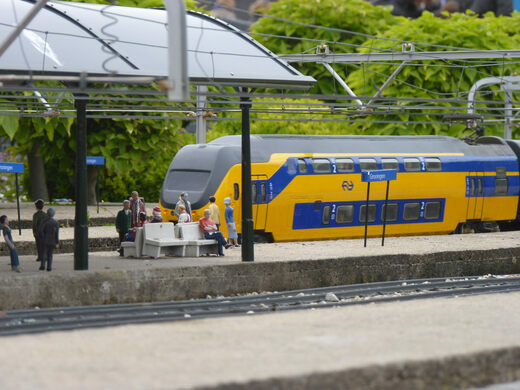 It is a model of a Dutch town on a 1:25 scale, composed of typical Dutch buildings and landmarks, as are found at various locations in the country. 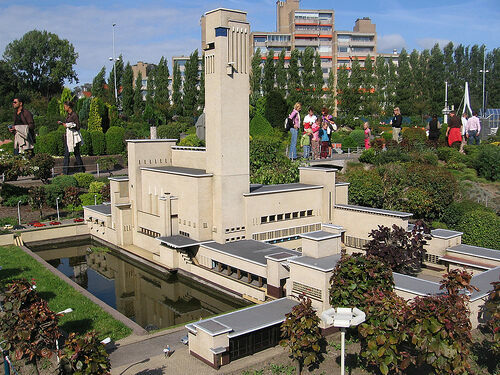 This major Dutch tourist attraction was built in 1952 and has been visited by tens of millions of visitors since then. Survival capsules find a second life as a unique hotel. The largest 19th century panorama in the world still in-situ. The miniature city was named after George Maduro, a law student from Curaçao who fought the Nazi occupation forces as a member of the Dutch resistance and died at Dachau concentration camp in 1945. In 1946 Maduro was posthumously granted the honor of Knight 4th-class of the Military Order of William, the highest and oldest honor in the Kingdom of the Netherlands, because he had distinguished himself in the Battle of the Netherlands against German troops. His parents donated the money to start the Madurodam project. On July 2, 1952, a teenaged princess named Beatrix was appointed mayor of tiny Madurodam, after which she was given a tour of her town, which only took a few minutes. While she started small, Beatrix went on to big things and became the Queen Regnant of the Netherlands in 1980. 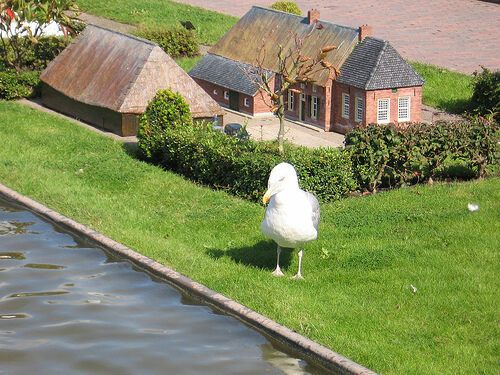 When Beatrix became Queen of the Netherlands, she relinquished her function as mayor of Madurodam. Today, the mayor of Madurodam is elected by a youth municipal council consisting of 25 pupils from schools in the region. A preserved building where the dead were once watched for signs of life. Lumps of significant stone from around the world surround a flaming monument for peace. A tiny art gallery in Sunnyside helps keep Portland weird.